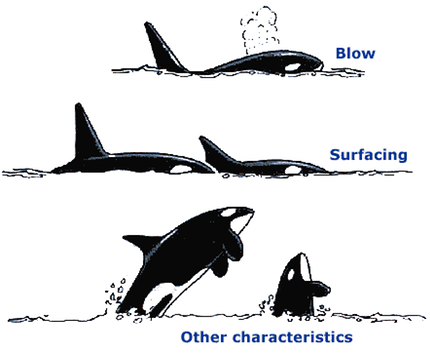 As top predator in the ocean, the orca's diet extends to several hundreds known species. The tall dorsal fin of the male, unique among cetaceans, can be recognized, even at a great distance. In a mature male the dorsal fin can be up to 1.9 meters high. 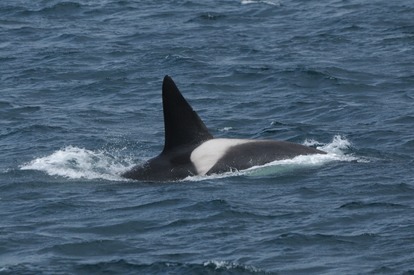 At half of the male's hight, even the female dorsal fin is tall. The flippers are broad and rounded and more than 1.9 meters long in mature males. 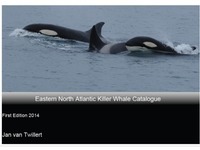 Orca's travel in groups (pods).